The Veranda Inn has 29 uniquely decorated rooms. Each room projects its own personality, from western, exotic, tranquil or southern charm. You can be assured of a "one of a kind experience" here at the Veranda Inn in Nocona. 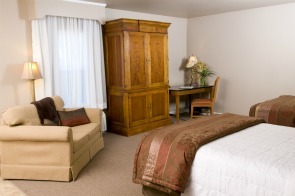 Each room has luxurious designer linens including down comforters in every room. 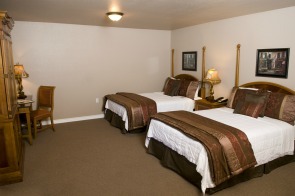 Unlike other hotels or bed & breakfasts, our comforters are cleaned after each guest. For your pleasure and comfort, we provide Bath & Body Works toiletries in every room. 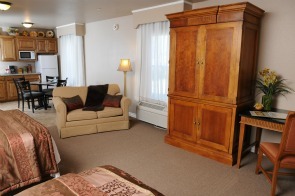 Each room offers an in-room refrigerator and coffee, in a clean non-smoking environment. We can even offer catering and in-room gift baskets. It is our pleasure to fulfill requests for private parties. "May Those Who Enter as Guests, Leave as Friends"